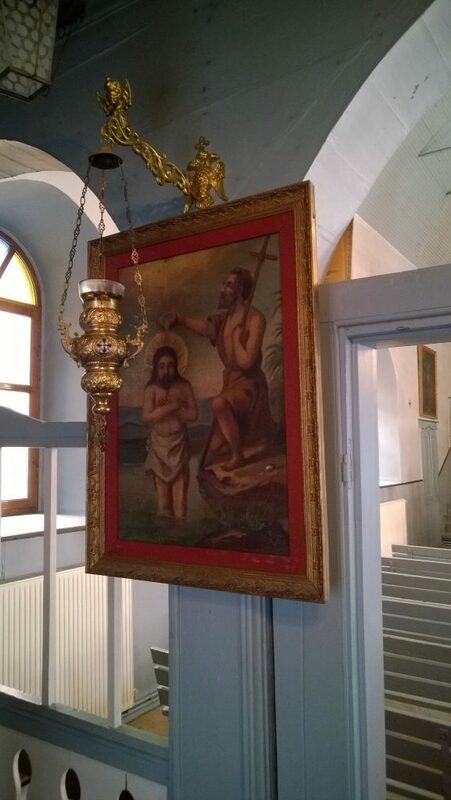 The Armenian Church of Alexandroupolis is located at the intersection of Anatolikis Thrakis and 14th May streets and it is dedicated to Saint John, “Carabet” as called in Armenian. With the creation of the new city on the coastline of Evros, around the mid-19th century, several workers from the then declining Ottoman Empire reached Dedeagatch (Turkish name for Alexandroupolis) in order to work in infrastructure projects – mainly the railway. 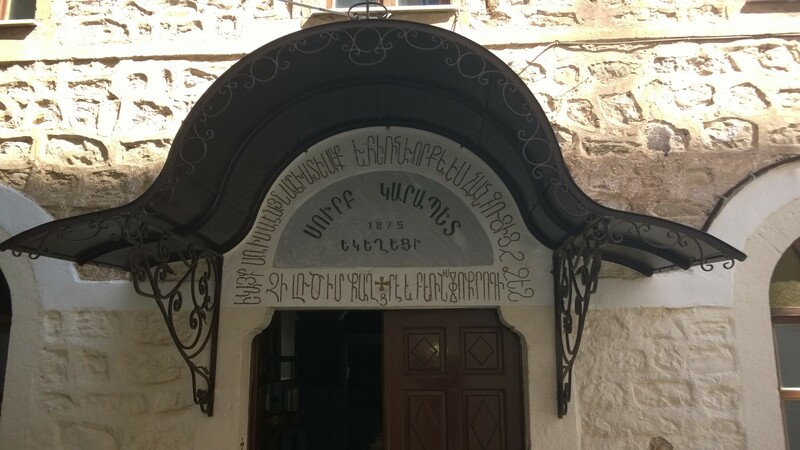 Among them, there was quite a large number of Armenians, who have erected, since 1875, the Armenian Church in which the entire community used to gather. The Armenian Church of Alexandroupolis was built based on the plans of the city of Muş that Saint John had in his hands. From this city came the majority of Armenians of Alexandroupolis. The church is a basilica without a dome and it is made of stone. The Armenian community has rapidly evolved from a community of workers at the railway and the port to a community of traders and artisans of the city, with some of its members excelling. Soon, next to the church, were built a school and a meeting room. 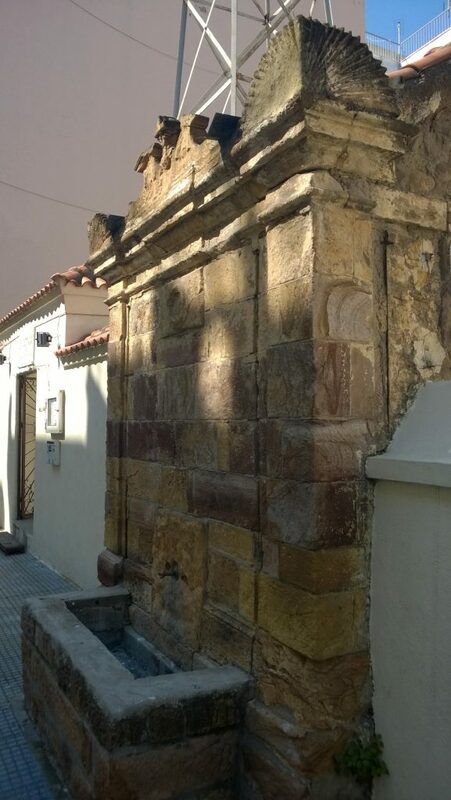 On the stone fence of the plot of the Armenian church, it was built, from the early years, an outdoor faucet that was elaborately built up and was one of the first in Alexandroupolis. 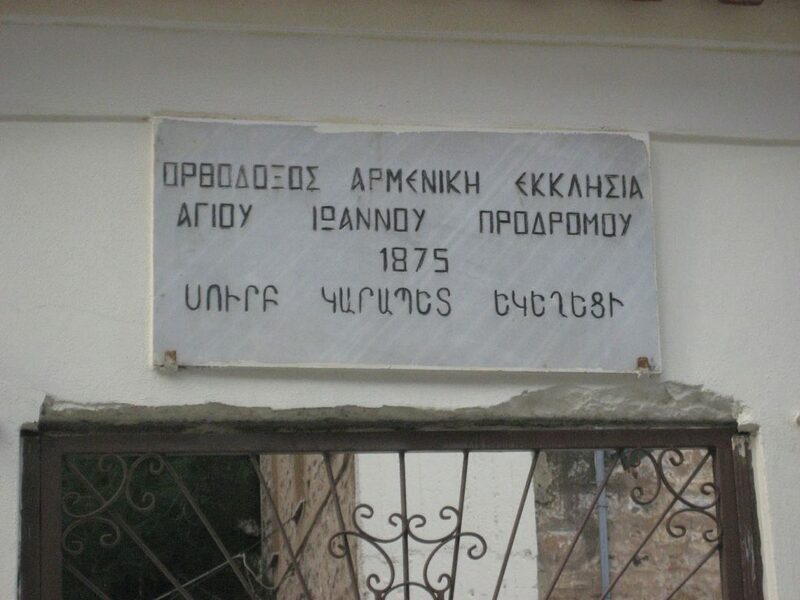 At the top of the entrance of the church there is a marble inscription with the foundation date and the inscription “Orthodox Armenian Church”. Nowadays, Saint Carabet is under the care of a small Armenian community and it works to serve the city’s needs.